^ Alan Dron (May 16, 2017). 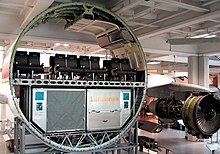 "UPS to upgrade Airbus A300 cockpits". Air Transport World. Aviation Week Network. ^ "WorldCensus2017.pdf". Flightglobal.com. Retrieved 2018-06-28. 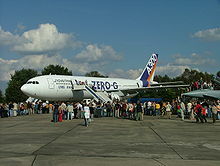 ^ "Commercial Aircraft of the World". Flight International. Retrieved 2015-12-29. ^ "A300 Airplane Characteristics for Airport Planning" (PDF). Airbus. December 1, 2009. ^ "A300-600 Airplane Characteristics for Airport Planning" (PDF). Airbus. December 1, 2009. ^ "A300F4-600 Airplane Characteristics for Airport Planning" (PDF). Airbus. December 1, 2009.